I’ve said time and time again that I love stories about enemies forced into situations where they become friends. 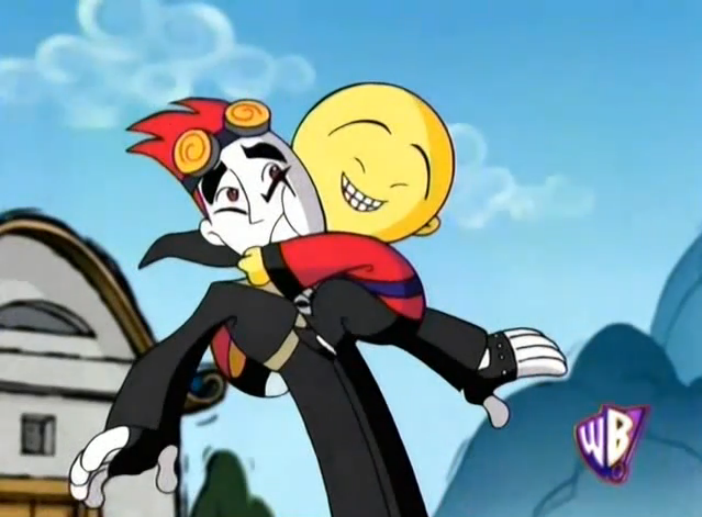 That was one of the reasons I loved the fic Inky Physics by Bug Ugly, a story about Jack Spicer and the Xiaolin Warrior Clay Bailey. Thankfully for me, Bug Ugly has a couple other stories. For Adversity’s Sake is very similar to Inky Physics, in that Jack and Omi are trapped in some place and must work together to escape. However, unlike Clay, Omi is a much more confrontational and egotistical character who sometimes gets carried away by his emotions. So when Jack ends up stealing a bunch of Shen Gong Wu, Omi takes it upon himself to go after him, and the two of them end up having a bit of spat at each other. Mean things are said, and feelings are hurt. While attempting to get the stolen Shen Gong Wu back, Omi naturally challenges Jack to a duel. In his haste, though, Omi forget to bring any Wu himself. However, as a challenge has already been made, the two of them are stuck together until they resolve it, which can’t happen unless Omi gets his hands on a Wu. Overcome by their frustration, the two of them start flinging insults at each other—Jack thinks Omi is an idiot, because how do you forget to take Shen Gong Wu to a Shen Gong Wu fight? And Omi, caught up in the moment, calls Jack useless and tells him that he fails at everything he does, since Jack almost always loses Shen Gong Wu battles anyway, so there’s no point for him to even bother. Instantly, Jack’s back went ramrod straight, his face strangely blank as he regarded the monk. “Take that back,” he said, voice hoarse and low, yet insistent. His eyes had an odd, shuttered look to them, twitching peculiarly. “Why take back what is a simple truth?” the irritated monk spat back, not at all reading the warning signs. After the two have a verbal and physical fight, Omi apologizes for hurting Jack’s feelings, and Jack reluctantly agrees to both accept the apology and allow Omi to borrow one of the Wu he stole so they can resolve the challenge. Once again, Bug Ugly writes an excellent story. Jack and Omi are not friends, they don’t like each other, and they’re on completely opposite sides in a battle of good and… well, not so good. But Bug Ugly does wonders when she sets out to reconcile two enemies against each other, and that’s the main reason I love her stories so much. She has a strong grasp on who the characters are, and she manages to keep them in character throughout the duration of her stories. My biggest issue with For Adversity’s Sake is that it’s incomplete. This particular fic is set up to be a multichaptered story, but only one chapter has been posted, and that was back in 2007, so I have no hope that Bug Ugly will ever get around to finishing this piece. The first chapter even ends on a bit of a cliffhanger, which is unfortunate. However, despite that annoyance, and if you can overlook the ending, the single chapter we do have could easily stand as a completed story on its own, which is why I don’t feel bad recommending it. So as far as I’m concerned, For Adversity’s Sake is just a oneshot. 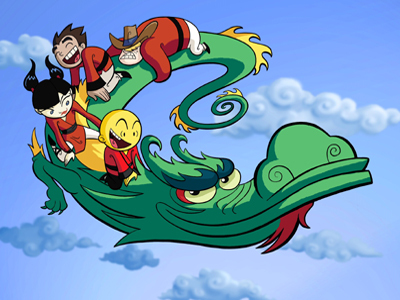 If you’re a Xiaolin Showdown fan who wants to see more of the characters, you should check out For Adversity’s Sake, and maybe some of Bug Ugly’s other works. This entry was posted in fanfiction, fanfiction fridays, opinion, Reviews and tagged Jack Spicer, Omi, Shen Gong Wu, Xiaolin Showdown by MadameAce. Bookmark the permalink.